For the next selection on the highlife turntable I have selected the track Abraham by O.P.K off a Pan American release O.P.K is back again. 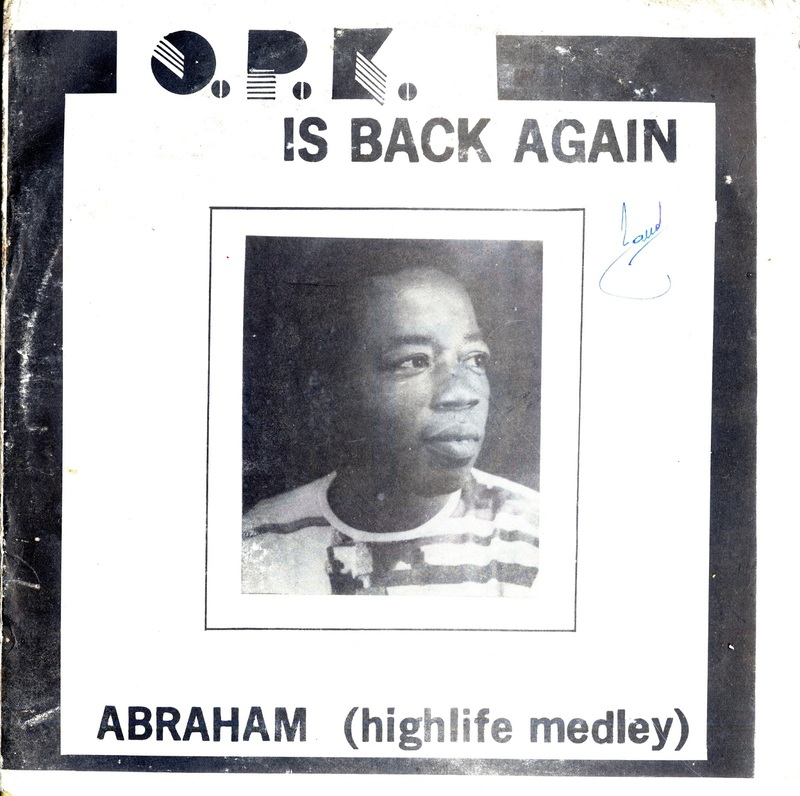 Recorded at Ambassador records in Ghana there is no information on the liner notes about the performers except a note that all tunes were written by O.P.K and F.K. Part of me wants to believe that F.K. is F. Kenya, but I have no way of knowing although the lead vocalist does sound like him. The medley takes up all of side 1. The vocals are sharp and are carried along by a guitar rhythm has that laid back psychedelic Ghanaian back beat that was the hallmark of all the great Ghanaian bands of the late 70's. I was also grooving on the nice percussion work in the background. I've been playing it alot lately. I hope you like it. Let me know if you can identify who F.K. and O.P.K. Dear Michael, I am a 21 year old from Australia. I am completely head over heels for highlife music. Jerry Hansen - Highlife medley is my favourite but everything is so good. Would cherish the chance to get some mp3 files off you or at least learn more from you. Will keep a constant eye on this blog. feel free to email me at marcus.kim.pedersen @ gmail.com. Hi Michael, I strongly believe F.K. is F.Kenya. As you said, the lead vocalist sounds totally like him. By the way, what a beautiful track!!! It's been a while I didn't visit your blog... I guess all the tunes I have to discover will make my afternoon.